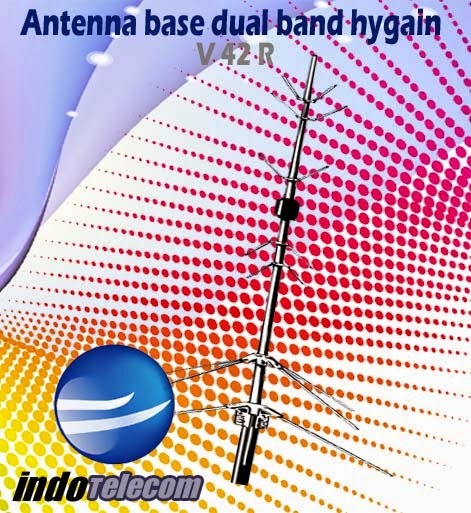 V-42R is independently tunable at 144 and 440 MHz. Fed through one coax cable, it has sets of ¼ wave radials which properly decouple ⅝ wave radiators from the mast. Gives 5 dBd gain on UHF and 3 dBd gain on VHF. Type N, handles 200 Watts. 9 ft.